I’ve been working on the issue quilt. See the extra fullness? Here is what I’ve gotten done so far. The center of the blocks are done. The fullness is still there. It’s simply spread out so it’s less noticable. I use designs that don’t cross over themselves so small tucks don’t happen. 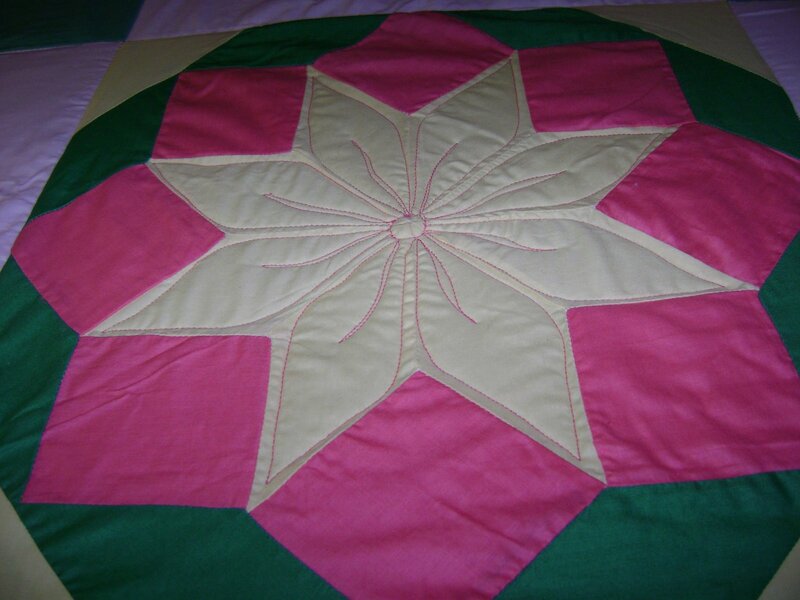 I also use the quilting’s natural tendancy to draw up the quilt. The combination of the two will take out most of the fullness. 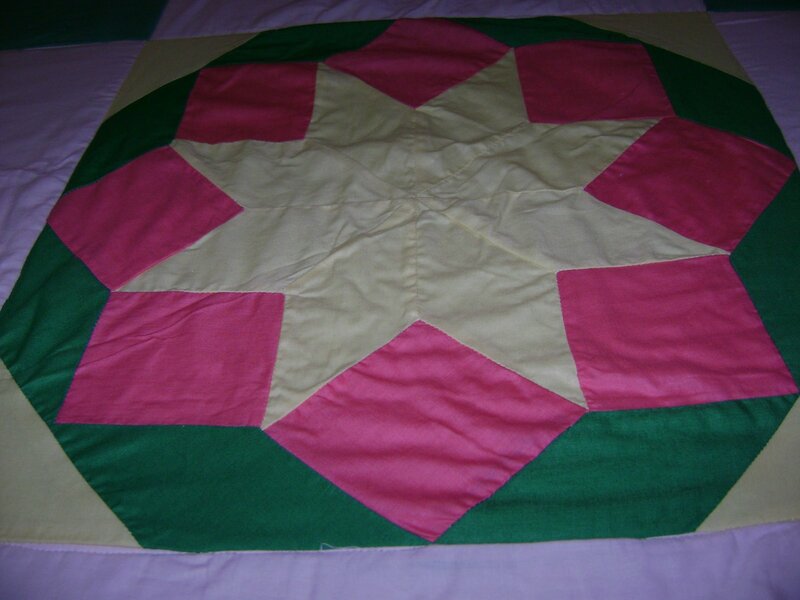 Once the quilt returns home and is washed it will take out more of the fullness by relaxing the fabric. I’m making this a short post so I can put something on my other blog today too. This entry was posted on August 10, 2009 by Anita in Issue quilts 2009.